Each bow made by our Lakota Sioux bowyer is made to fit your needs and requirements. 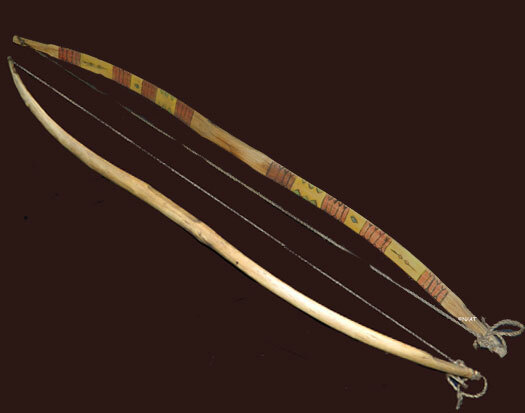 Psehtin Itazipa (Ash Bow) w/ buffalo sinew string, 43" 55 lbs @ 21"
Historically accurate examples of Plains Indian bows and arrows - including many different tribal styles of bows and arrows. We are taking orders for fully functional Lakota bows, arrows, and quivers, also from other tribes. Our Sioux Bowyer makes hand crafted bow to the specifications and traditions of his Lakota Grandfathers. 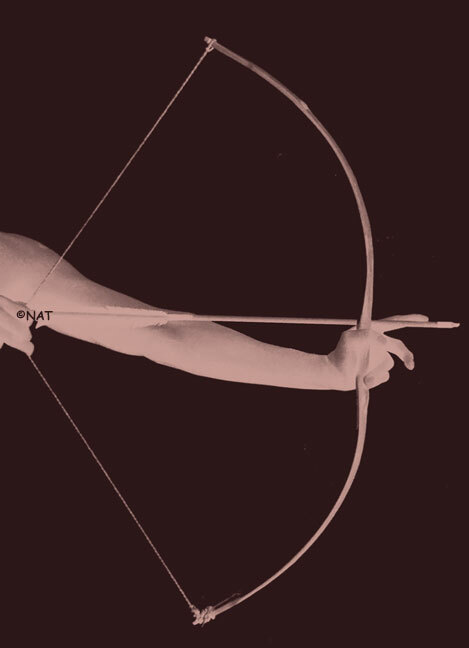 The bows are short when compared to modern traditional archery. They are between 38-48" long, so don't expect a draw length of 28". Because of their short length it is too much stress on the limbs. Draw lengths range from 18-25" depending on the length of the bow. He uses Ash, Hickory, Choke Cherry, Black Locust, and Osage Orange for his bow woods. You can order a sinew backed bow which is a stronger and faster shooting bow when compared to a self bow but more care and time goes into one when making a sinew backed bow. He uses deer, elk, or buffalo backstrap sinew when backing the bows. Bows come either with commercial B-50 Decron bowstring or a real buffalo sinew bowstring. Arrows range from 20-25" made with Choke Cherry, June Berry, and Red Willow, fletched with turkey feathers, and the points are made from metal, stone, and buffalo bone. Lightening grooves are also etched in them symbolizing the Wakinyan.